The first member of the teaching staff of the School of Mines Ballarat (SMB) was Joseph Flude. According to the first Minute Book, he offered his services as lecturer in Metallurgy "gratuitously" to the new School, on the 17th November, 1870. Commencing in January 1871 he lectured in chemistry and metallurgy in the evenings. Flude was appointed as Superintendent of Laboratories at the stipend of 100 pounds per annum. He also received all fees for assays and analysis with the use of the SMB laboratories and an office. He was a member of the SMB Council from 1871-1882. A popular lecturer he became one of SMB's Life Governors. Flude had been an assayer for the National Bank but by 1880 was fully employed by SMB. 1881 In the 1881 report it states that 'the ill-health of Mr Flude caused that gentleman to sever his connection with the school suddenly, at the beginning of the July term'. During his early years with the SMB, Flude presented a series of free public lectures on various chemistry topics including "Carbon", "The Chemistry of the Atmosphere" and "Iron". These lectures were popular and well attended. He must have caused quite a stir in this provincial town when he was invited to teach Chemistry to the young ladies of the Ballarat Girls' College, Queens, at the invitation of progressive Headmistress Matilda Dixie: "Matilda was able to arrange Chemistry lessons for her senior girls, who even performed experiments." 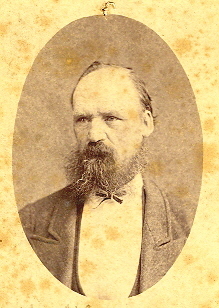 Flude was noted for his early gold smelting analyses and assays. In 1875 with mine manager, Robert Malachy Serjeant, he patented an apparatus for roasting pyrites. It was called 'The Ballarat School of Mines Self-acting Pyrites Furnace'. Flude and Serjeant subsequently signed the patent over to SMB in 1877. This novel furnace was the forerunner of the furnaces of the Band and Albion Consols mine and later Edward's famous pyrites works in the White Horse Ranges, Ballarat. SMB failed to raise funds for a large furnace of its own but its reputation brought requests from all over the country for graduates skilled in treating refractory ores. The document demonstrates the generosity of Flude and Serjeant in donating the patent taken out in 1875 to SMB in 1877. It states: " Indenture between Robert Malachy Serjeant, Mining Manager, and Joseph Flude, Metallurgist ... whereas by Letters Patent under the Seal of the Colony of Victoria dated the fourth day of March one thousand eight hundred and seventy five especial license, full power sole privilege and authority was granted to the said Assignors their executors administrators and assigns for the term of fourteen years from the date of such Letters Patent subject to the provisions and conditions avoiding such Letters." Joseph Flude was born in 1825 at Keyham near Leicester, England. He married Priscilla Brown on 18 January, 1853 and their marriage certificate gives his occupation as bricklayer. It was probably this skill that brought him to Sydney as a Sapper for the construction of the Royal Mint, arriving on the 14th March, 1854. Joseph and Priscilla remained in Sydney around nine years and with their family moved to Chewton, Victoria around 1864. By 1866 Flude was a member of the Congregational Church in Sturt Street, Ballarat. He assisted in the construction of this Ballarat church. His first wife Priscilla died in 1888 and he married Sarah Stoddard. His direct association with the SMB ceased in 1881 when resigned on the grounds of ill health. Tragically on 3 March 1892, aged 67 years, he committed suicide by drowning in Lake Wendouree. He is buried in the Ballaarat Old Cemetery.